When we made our test create a touch event, it broke every browser except iOS Safari, so we figure out how to make our touch tests skip browsers that don’t have touch support. 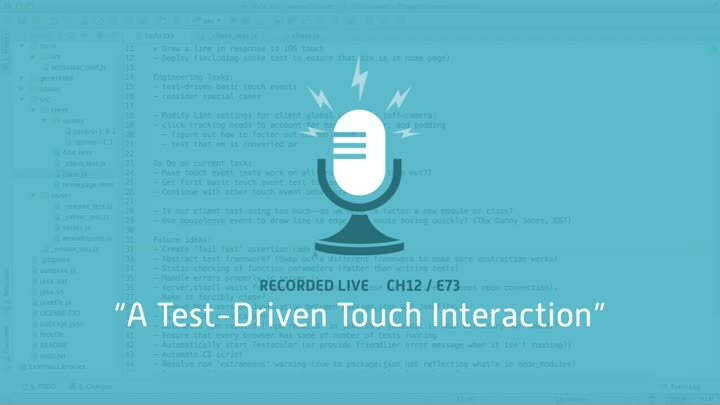 Our next hurdle is to properly set up our test’s touch event. We get it working and complete our first few test-driven touch interactions.